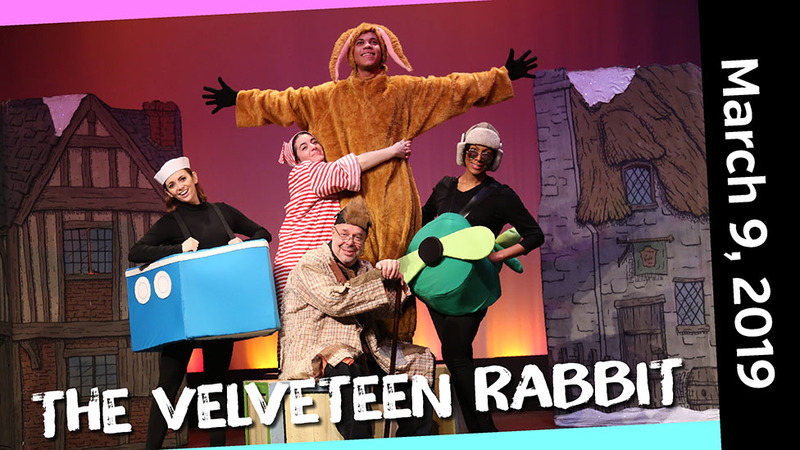 This musical retelling of the beloved storybook makes a fantastic first theatre experience for young audiences. Book 3 or more Family Series titles for a great value! *Must book shows in same transaction online, by phone or in person to qualify for discount. Kid Friendly: All Ages Show. All attendees ages 2 & up require a ticket. Children under 2 without a ticket must sit on an adult's lap. Note: No infant/portable car seats or strollers are permitted in the theatre. Car seat boosters (without backs) are permitted. A young boy's love and a little nursery magic help transform the Velveteen Rabbit from a favorite plaything into a real rabbit. The Boy and Velveteen embark on exciting imaginary adventures, from deep dark caves to the wide open sea, and together they learn the true meaning of friendship in this musical re-telling of one of America's favorite storybooks.